Maike completed her PhD in Sustainability Science at the Stockholm Resilience Centre in Sweden, where she investigated the linkages between biodiversity, ecosystem services, and human well-being using data from the 2011 South African census. She has a particular interest in mapping social-ecological patterns and understanding the dynamics that may have shaped them. In addition, she has used scenario planning as a tool for exploring possible future trajectories and dynamics for social-ecological systems in South Africa. Her current focus as a postdoc with the CST lies in describing different perspectives on ecosystem services within the scientific community, as well as exploring potential thresholds of biodiversity loss in South Africa. 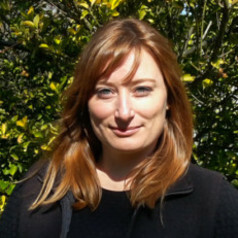 Maike also helps coordinate the Southern African Program on Ecosystem Change and Society (SAPECS), which is a network of researchers and practitioners working on social-ecological systems in the southern African region.